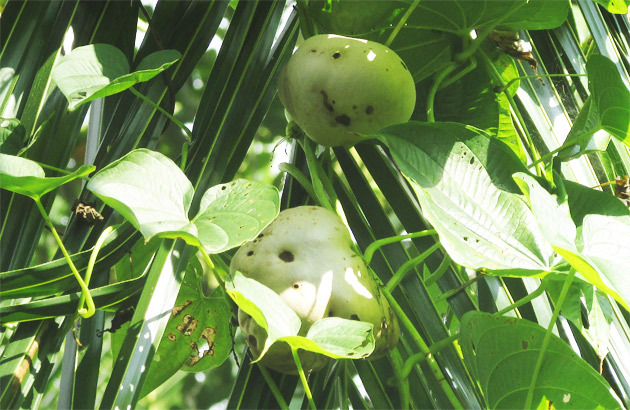 Air potato is a perennial vine, leaves are simple, heart-shaped, length up to 20 feet. 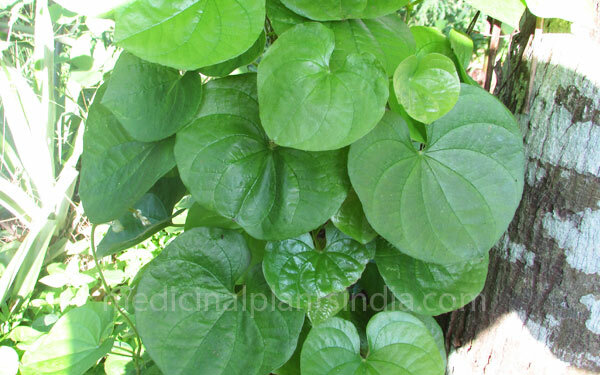 The leaves are simple, arranged oppositely, heart-shaped, margin entire and with tapered apex. The flowers are small and white in color. Yam brownish-black, rough outer, bulb-like part in the leaf axis and tubers beneath the ground both are edible, it resembles potato so, it is called air potato, which can consume like other yams and cultivated as a food crop. The tubers can be used by boiling in the water like any other yams used. It may grow up to 150 feet high with the support plant. It grows extremely quickly almost 8 inches per day. New plants developed from the bulb-like part form a new plant. The Potato like bulbs of leaves and roots. Used as a food of diabetic patients, it contains proteins, calcium, to treat conjunctivitis, diarrhea, dysentery and as a pest control.